Aberlour, one of Speyside’s most highly respected distilleries, have a reputation for producing some of the best sherried whiskies around. This is an excellent example, a beautiful 12 year old single malt that has spent its entire maturation exclusively in Oloroso Sherry casks. This has produced a rich, luscious whisky with fantastic flavours of toasted nuts, spices, dried fruit, tea loaf and malty toffee. This was initially a travel retail bottling, and thus is bottled at the larger size of 1 litre, meaning that this is fantastic value for money. 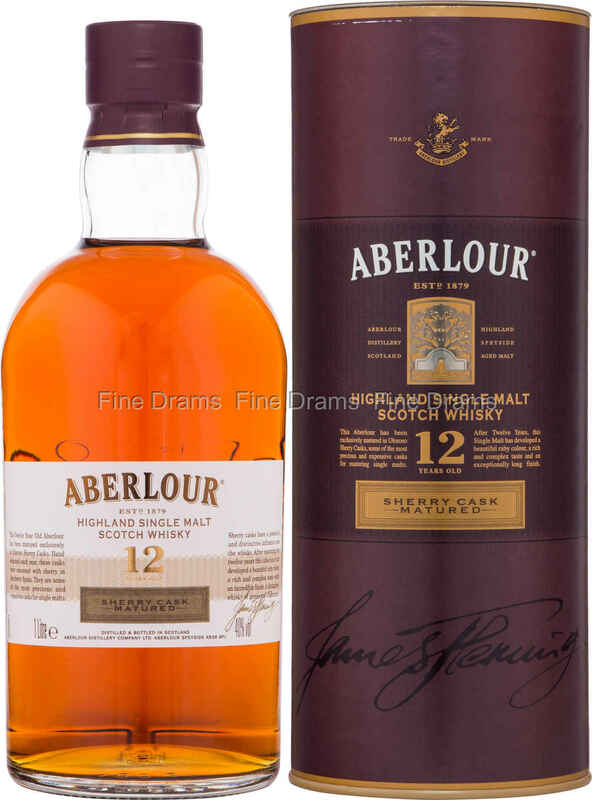 A classic Aberlour that will appeal to every fan of the distillery.